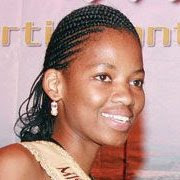 Hollywood Blog: Miss Itseng Kgomotso: The favorite star of Miss World 2008. Miss Itseng Kgomotso: The favorite star of Miss World 2008. Languages: Miss Itseng Kgomotso can fluently speak Setswana and English language. Nineteen year old Miss Botswana 2008, Miss Itseng Kgomotso was chosen as the “Ambassador to the Overseas Chinese Overland Challenge.” Kgomotso wants to join Foreign Service like her father and represent her country to the world. Since childhood, Kgomotso went to different places with her family. She spent her first six years in Ngwaketse, then, she moved to Harare, followed by Zimbabwe. Over there, she finished her six years of elementary at the international school.